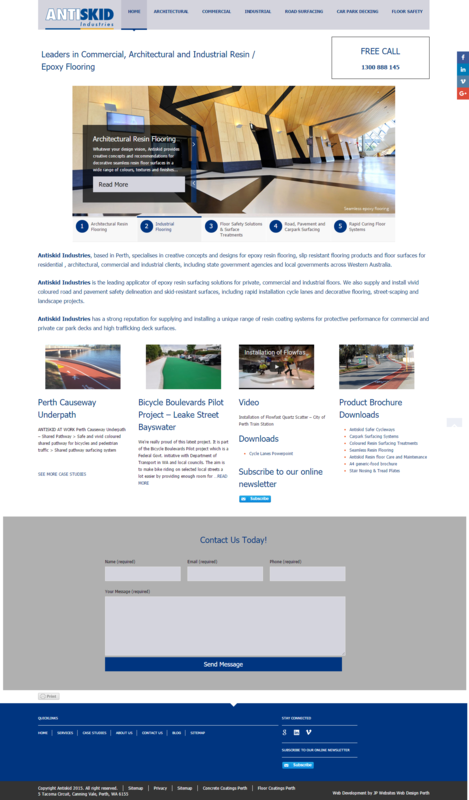 This website was developed for Antiskid Resin Flooring using WordPress Content Management System. Our client at wanted JP Websites to develop their website for easy navigation of their multiple menus to make it easier for customers to find what they are looking for as well as prominent call to actions for contact on the website, custom image sliders on each page as well as brochure download call to actions. We did just that, giving them an easy to update website.